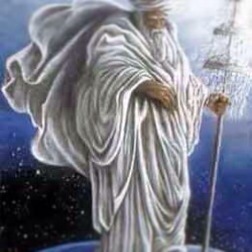 In Lucumi Western African tradition of Santeria it is believed that Orisha Obatala, also referred to as Father Time, owns everything of the color white that makes up our planet. Orisha Obatala’s main role is to cleanse and replenish the earth, including our consciousness. Today New York City and especially the Long Island stretch is being cleansed by Orisha Obatala’s northeastern snowstorm. May all in its path be blessed with travel safety and the warmth of your homes.